Get Great Alterations From Custom Tailors! Indulge yourself in the best and don’t settle for a suit that “sort of fits”. Get a custom and bespoke suit. We will give you a custom-fit on any garments that have been lying in your closets unworn. We can deal with alterations whether you have lost or gained weight. No tailoring job is too large and we provide alterations for suits, coats, pants, and shirts. For creating this suit, why wouldn’t you choose from the best fabrics in the world? This includes fabric names such as Vitale Barberis, Loro Piana, Dormeuil and others. 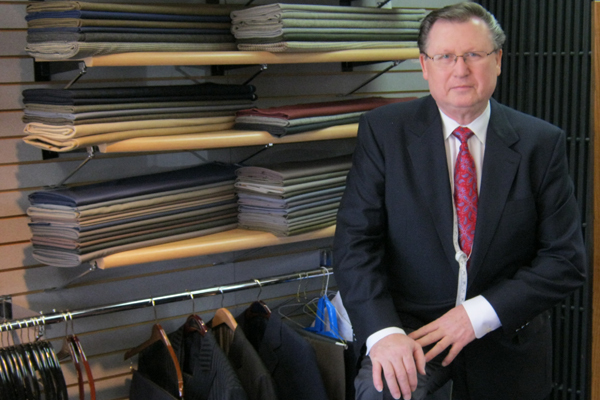 Once you choose the perfect fabrics for your suit, let Siegfried show off his skills of altering that he’s been perfecting for over 52 years. Hartmann’s alterations are second to none and we can work for you to achieve the perfect fit.